Clogged drains disrupt our daily lives and taking care of them fast and effectively is important. As a common house remedy for drain clogs you can try to plunge it or pour some drain cleaning liquid, however, the toughest clogs will not succumb so easily. The Rooter Drain Expert will clear any drain clog; hair clogs, grease clogs, root clogs. We have the best tools in the market. We are the Pacific Palisades plumbers and we are here to serve you. We are the local Pacific Palisades Plumbers, the only ones that can provide you with personalized customer service and prices with less overhead. We see our clients and part of community and neighborhood. and because of that The Rooter Drain expert is a licensed insured and bonded plumber. We care about your safety and we recommend for you only to hire professional plumbers, plumbing is a serious business with a lot of regulations and codes. Read about the importance of hiring only professional licensed plumbers “Why hire licensed plumbers?“. We are the Pacific Palisades plumbers and we want you to be our next happy customer. Our trench-less technology reduces excavation by up to 95%. 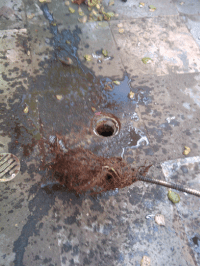 It is one of the best solutions to eliminate sewer roots. 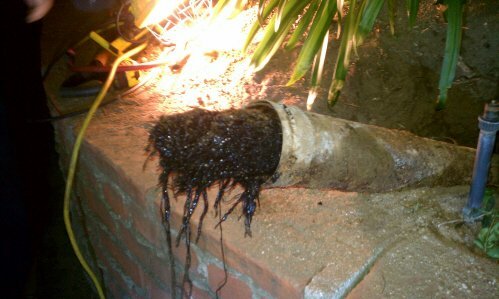 As the local Pacific Palisades plumbers we know all the codes and regulations. However we like to help you with any resource you might need, here is a link to the Pacific Palisades Wikipedia page in case you want to learn more about the city’s history and people.